We take a custom approach to each and every wedding. Robben Florist custom designs every wedding, and we want to get to know your style and tastes. We do all styles of weddings from classic to contemporary. We know you are excited about your upcoming wedding, and if you should see any flowers, colors, or styles from any form of media or publications you like please feel free to bring them with you to the consultation. Our designer will incorporate your vision of your special day into a beautiful reality. 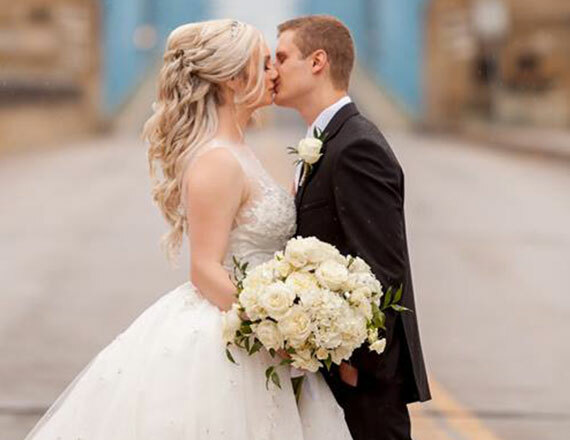 Robben Florist provides each wedding with personalized and special attention to make one of the most important days of your life a memory to cherish forever. Regardless of the size of your wedding, Robben Florist can work within your budget and assist you in all your wedding needs. 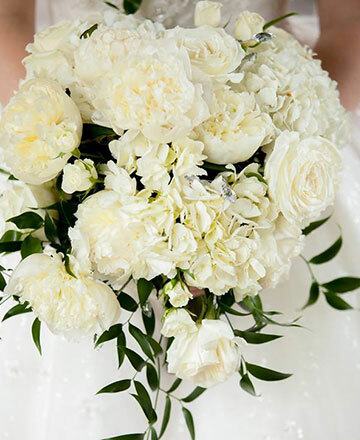 Trust Robben Florist to create beautiful, elegant floral arrangements for your wedding day so you can relax and celebrate. Please call us at (513) 251-2737 or complete the Schedule Consultation form today. We are looking forward to hearing from you! Provide wedding accessories such as aisle runner, unity candle, lanterns, balloons, floral lighting etc. We are a 3rd generation family owned and operated business with over 80 years experience. We offer an extensive assortment of lush beautiful plants, flowers, and giftware to satisfy your gift giving needs.